The book itself may not be that accessible, but the subject sounds fascinating. 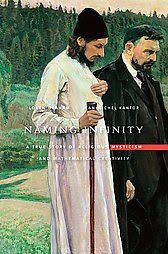 Here is the review of Naming Infinity: A True Story of Religious Mysticism and Mathematical Creativity by Loren Graham & Jean-Michel Kantor. Their main claim is that a peculiar esoteric Christian sect may have helped advance ideas of set-theory in Russia in the first decades of the 20th century. Graham and Kantor begin in 1913, when the Imperial Russian Navy stormed a monastery on a Greek peninsula where a sect of Russian Orthodox monks had fled to pursue a mystical practice known as name worshipping. Holding the heretical view that God comes into existence when named, these monks believed that repeating the name of Jesus while controlling their breath and heartbeat would bring them closer to the infinite. Their persecution at the hands of the Tsar in the ensuing years aroused the sympathy of a number of Russian intellectuals. Among them was a handful of mathematicians in Moscow who, working in the young field of set theory, also found themselves dealing with the infinite. The situation was different in Moscow, where the Russian mathematicians took up the same problems with zeal and eventually resolved them, advancing the far-reaching field of measure theory and launching descriptive set theory. Graham and Kantor argue that the spiritual views of these mathematicians were crucial to their scholarly work. That there were ties between some of the mathematicians and the heretical sect is not in doubt. The geometer Dmitri Egorov believed in name worshipping. His student Pavel Florensky, a mathematician turned theologian, held that the 'set of all sets' might be God himself. The eminent mathematician Nikolai Luzin was privately sympathetic to the sect. None of this illuminates a substantive connection between the ideas of the monks and the mathematicians. These Russian scholars did push forward where the French would not, so it is reasonable to ask whether their religion gave them an edge: did their belief that both God and sets could be named into existence help them deal more creatively with the infinite? The authors do not settle this question, and never fully explain why the work of the Russians should have required a belief in name worshipping as opposed to another spiritual belief. In the end, they backpedal to say they are "not claiming a unique or necessary relationship" between mysticism and mathematics but are merely saying that the heresy of name worshipping "played a role in their conceptions". They don't, however, say what that role was. Whatever their ties, the mathematicians and the heretics suffered similar fates under the Soviet regime. For a time both escaped the worst treatment. The name-worshippers hid in the shadows as Vladimir Lenin went after the mainstream Orthodox church. Mathematicians survived longer than other academics because, unlike physicists or chemists, they did not need special equipment, and unlike historians or philosophers, their findings did not immediately fall foul of Soviet dogma. Eventually the Stalinist state caught up with everyone. Egorov was detained in 1930 for "mixing mathematics and religion" and died in prison. Florensky confessed under torture and was sent to the Gulag, where he studied permafrost and seaweed before his execution in 1937. The case of Luzin is a miraculous exception. In 1936 he was accused of collaborating with foreigners by the Marxist mathematician Ernst Kolman, who proclaimed, "Soviet science will rip away your mask!" He was saved by a letter to Joseph Stalin from the physicist Peter Kapista, who argued that Luzin might yet be useful to the government. It is not clear why Stalin listened, but his whim ensured the future of a discipline. What a bizarre way to kill science and inquiry. I had read about the whole Lysenko Affair and how it affected Soviet biology, but I didn't know about the persecution of mathematicians. By the way, the brilliance and strangeness of Russian mathematics has still not diminished, as can be seen from the case of Grigori Perelman. 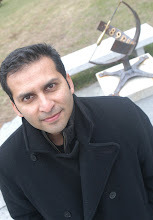 He solved the problem of Poincare' conjecture (don't ask me any details), a feat declared Breakthrough of the year by Science in 2006, but then he declined to accept the top award in mathematics - the Fields medal. Somehow this all fits well into the idiosyncratic nature of Russian mathematics. In any case, read the full review here.